After going 1-6 in their home-opener stretch, the San Diego Padres defeated the reigning World Champions Houston Astros, 4-1, Friday at Minute Maid Park. In a David-vs-Goliath match, Luis Perdomo, who was looking to redeeming his disappointing performance in game 3 of the Opening Weekend series against the Milwaukee Brewers, out-pitched Lance McCullers Jr., one of the best pitchers in the league. In five innings, the right-handed pitcher allowed four hits and one earned run. At the top of the fifth inning, Perdomo breezed through the heart of the Astros’ order, striking out Alex Bregman, Jose Altuve and Carlos Correa on 11 pitches. After Jose Pirela capitalized on an Astros’ error in the first inning, putting the Padres on the scoring board, he doubled in the fifth to bring in Austin Hedges and Manuel Margot for a Padres 3-1 lead. Houston didn’t manage to score after that. It seems everything that went wrong for the Pads in the home-opener stretch went right Friday. 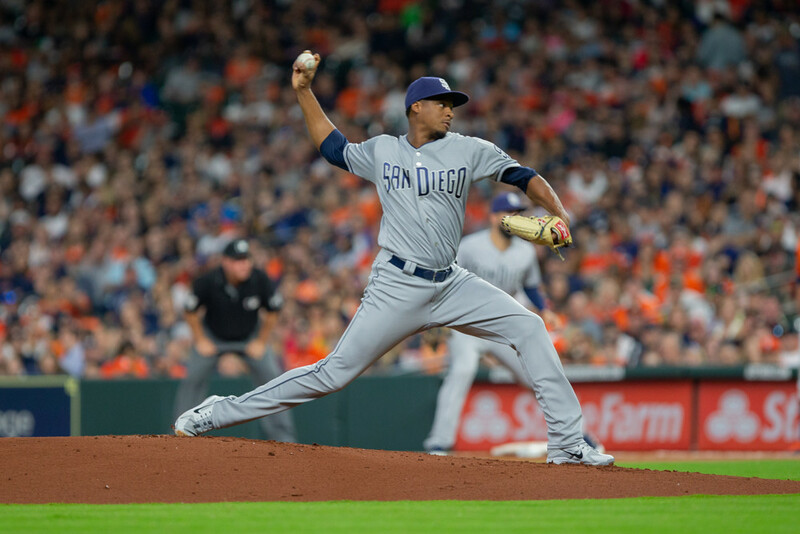 Perdomo was on-point Friday and the offense kicked in at the right time. The series continues Saturday with Bryan Mitchell taking the mound for the Padres.